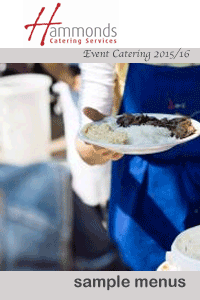 Hammonds Catering Services can provide you with food for all occasions. Phone our “Corporate Catering team” who will guide and advise you of all the menu options available. Our reputation is built on a reliable, flexible and versatile commercial catering service. 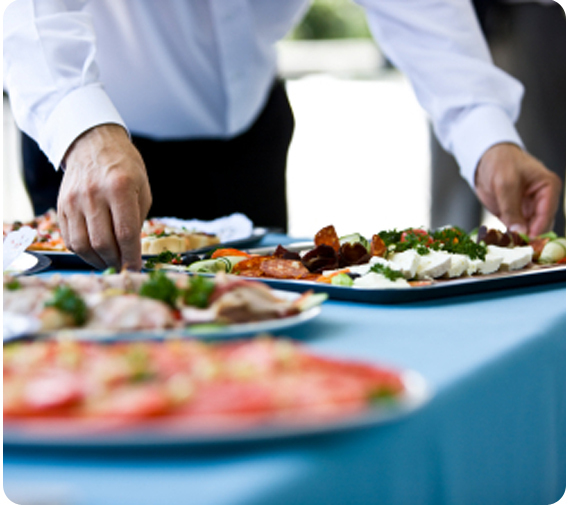 Hammonds Catering Services offer great value delivered buffets for meetings and board room lunches. Our varied menu is intended to provide choice and variety with regard to personal taste, numbers of people and your budget (bespoke menus are available if desired). When requesting menu orders please ensure you forward the current Corporate Buffet Order Form. Just thought I would let you know that the food was absolutely fantastic!! Everyone commented on how much they had enjoyed it. We shall certainly be contacting you again for any future events. Finally I have the chance to send a view words to you regarding the opening days ago. I got a lot compliments of the food during the evening and would like to know you that. Further your staff was very high professional in service and friendly! Until this will happen, I would like to wish everyone of Hammonds all the best, continue this excellent performance and take care! Just to say a big thank you for your help regarding our order on Saturday. Our delegates were impressed with their lunch bags! Please thank all the staff involved in our corporate launch event in Telford on Thursday 17th May. Jackie and I received many compliments on the subtle, efficient and professional manner of your staff; from our first meeting with you - to the bar staff, waitressing staff and servers alike. No query was too much, no suggestion unmanaged and the full service offered by Hammonds made the organisation of details so much easier for us. The event seems to have been a great success – I certainly haven’t heard anything to the contrary. Our Group board members had a memorable evening and gave us positive feedback on the event overall. I believe you already know that we will certainly be using your services again and we look forward to another occasion to arrange with you! A massive thanks to your team for their excellent work again this weekend. I received so many compliments from our guests about the quality of food and service. I’ve got to say a special thanks to Farrah. She worked so hard and did much more than we asked her to. She’s brilliant! Hopefully more of the same next year. Hi Sally, John, Karen & "Team Hammond's"
Might I just take a moment to thank all at Hammond's for the professionalism, patience and care they showed us whilst organising the Festival, the generosity of spirit of all that supported us on Saturday, and also the quality of the food was first class. I am delighted to pass on to you all of the gratitude from our hearty, hungry guests, who commented they never before had received such a welcome, quality of service, or been treated to such a delicious range of food. Both they and ourselves were truly grateful. It proved to be a really successful day, if not one of the most humbling considering the amazing company of children we were keeping, and even the sun chose to shine for us? Also, I must thank John for patiently re- supplying the gluten free rolls ( the originals having disappeared amongst a throng of eager sorters), and delivering them personally with a smile that need not have been easily found. I would just like to say a massive thank you to you for your help and organisation of the meal. I would also like to say a huge thank you to the two members of staff that served us on Thursday, they were both brilliant, and the food was lovely. Everyone has commented on the high quality of food, and I am sure you will be getting contacted in the not too distant future, for various graduations and functions. Thank you for all your gorgeous food and help over 2017 especially with last minute orders your all stars. Hope you all have a fantastic Christmas and a very Happy New Year. I had all positive comments, the cheesecake was superb and the beef so tender and people really loved the idea of the joint on the table to carve themselves. Just a quick note to say the buffet today with our customers was a huge success. The food was lovely thank you and promptly delivered. On behalf of everyone at our event on Saturday night I would like to say a huge thank you for the wonderful buffet you provided. I just thought that you all would like an update on the food you supplied for us today. Everyone has commented on the food today saying how lovely the food was. Please can you say a hugh thank you to everyone, Well done. On behalf of Dr Askari, myself and the Orthopaedic Institute Charity may I offer a “massive thank you” to you and all your team for supporting us prior to and on Saturday evening. Karen and all the staff on the night were very professional and I thoroughly enjoyed working alongside them. It was a small venue and an even smaller budget however I don’t think the night could have gone any better for Dr Askari and our fund raising efforts. The whole event was really enjoyable. Most importantly, we raised money for the Charity and our guests had a wonderful evening. Hi Sally, On behalf of Gunnebo I would like to extend our thanks to Hammonds for their professionalism and service. Sharon and Penny did a fantastic job on-site staffing our event, they were friendly and efficient and nothing was too much trouble. The food was of excellent quality and enjoyed by everyone. We will call you next year!! Thank you very much for a super buffet today (Wed 12 April), great food enjoyed by all. Great service. Just to say thank you to Hammonds for sorting the catering out for our small event yesterday , it was all very efficient & tasted good ! Take a look at our menu options for delivered buffets for lunches and meetings.